A bill intended to codify fantasy sports in Nebraska law was discussed Jan. 16 and 17. LB469, introduced by O’Neill Sen. Tyson Larson, would adopt the Fantasy Contests Act. The bill would define, license and regulate fantasy contest operators in Nebraska who offer cash prizes to the general public upon payment of an entry fee. Larson explained that a typical contest involves participants assembling fantasy teams of professional players. As the selected players finish their sporting events, game statistics are converted into points and the participant with the most team points wins the contest. The bill would prohibit fantasy contests based on the performance of collegiate, high school or youth athletic events. Larson said fantasy sports contests are more games of skill than games of chance, and therefore should be acceptable under the state’s constitution. 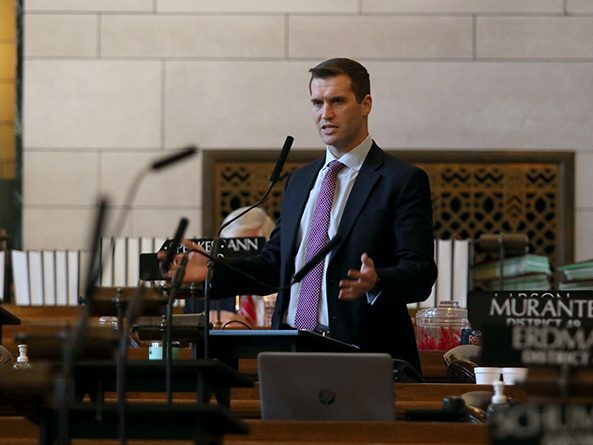 In addition, he said, approximately 300,000 Nebraskans already are participating in fantasy sports contests and the state should be regulating the industry. “[This bill] is necessary to protect Nebraskans who are participating in fantasy sports contests by licensing such contest organizers in order to promote fair play in the state of Nebraska,” he said. • no winning outcome is based on the score, point spread or performance of any single actual team or combination of teams or solely on any single performance of an individual athlete or player in any single actual event. Grand Island Sen. Dan Quick, who said he has participated in a fantasy sports league, supported the bill. Regulating the industry in Nebraska would guard against operators who might take advantage of players, he said. “I think having these regulations will actually benefit those who play fantasy sports,” Quick said. Sen. Bob Krist of Omaha agreed, saying the state should regulate existing operators and avail itself of the revenue that gambling can provide. In addition, he said, revenue from licensure of fantasy sports operators could help provide assistance for problem gamblers. “We need to start regulating gambling as it exists,” Krist said. Omaha Sen. Ernie Chambers, who opposed the bill, said such an argument logically should lead for calls to legalize and regulate prostitution and drug use – two other activities that Nebraskans currently participate in. 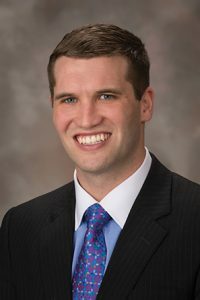 The Nebraska Constitution specifies which forms of gaming are allowed in the state, he said, and fantasy sports currently is not among them. “I am going to oppose the state sanctioning this type of gambling,” Chambers said. Sen. Suzanne Geist of Lincoln also opposed the bill. Legalizing fantasy sports contests that charge a fee would constitute an expansion of gambling, she said, and would provide a “foothold” for other forms of addictive gaming behavior. As introduced, the bill would require fantasy contest operators to register with the state Department of Revenue and pay a $10,000 registration fee. There also would be an annual registration renewal fee of 6 percent of the operator’s gross fantasy contest revenue for the proceeding 12 months, not to exceed $10,000. Instead of a flat $10,000 registration fee, a pending General Affairs Committee amendment would set the registration fee at 6 percent of gross revenue for the preceding 12 months – not to exceed $10,000 – or $1,000, whichever is greater. • contract annually with a certified public accountant to conduct an audit to ensure compliance and submit the results to the state Department of Revenue. A violation of the act would result in a civil penalty of not more than $1,000 for each violation, not to exceed $5,000 for violations arising out of the same transaction or occurrence. After three hours of debate, the Legislature moved to another item on the agenda. Per a practice implemented last year by Speaker Jim Scheer of Norfolk, the sponsor of a bill that is facing a potential filibuster must demonstrate sufficient support for a cloture motion before the measure will be scheduled for additional debate.